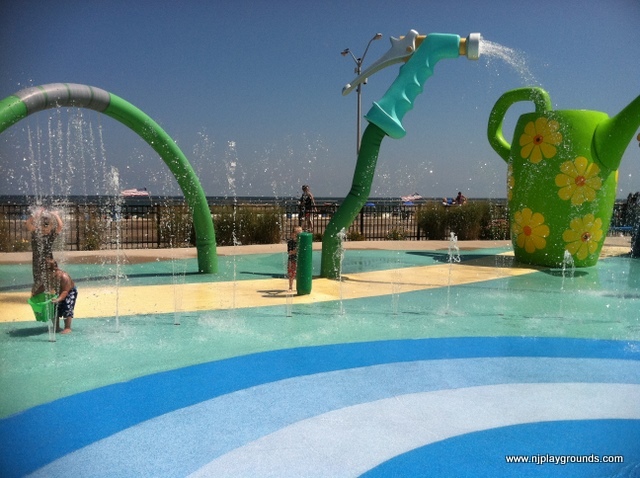 This guest post is from Stacey Frielander who just visited this summer hot spot in Asbury Park, which isn’t too far from the North Jersey population (Garden State Parkway Exit 102). 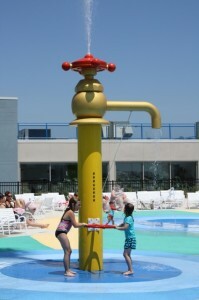 I love this for combining a beach day with some splash fun! 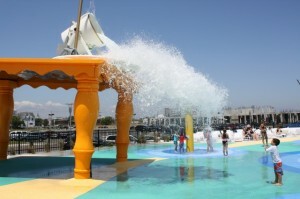 Also on the next street is a mini-golf course, for more details on the splash park and mini golf, we found a link here. 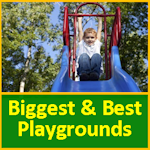 There is also a playground in the beach nearby! 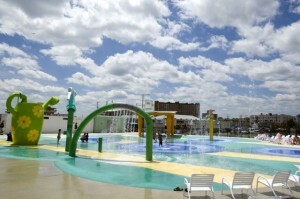 Pictures are shown by checking out the Asbury park section of this review. Thanks Stacey for the excellent photos below!!! 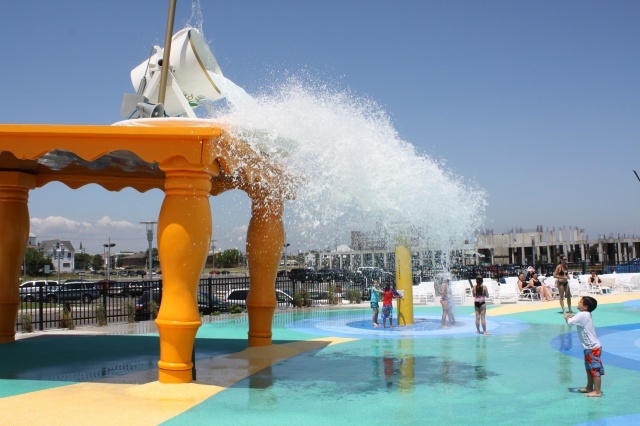 Getting to the Asbury Park Splash Park (Ocean Avenue and 2nd Avenue, Asbury Park NJ) was easy and to make it even better, there was plenty of beach side parking and it was CHEAP! $5 buys you the entire day to come and please to your vehicle. You can also buy $5 beach passes at the pay meters while you pay for your spot. The Splash Park is adjacent to the beach and a daily pass for kids is $9, adults $5. Plenty of new chairs are set up, and some umbrellas, in a nice gated area. 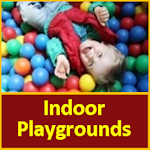 I liked it because my three year old was able to run around, in a safe and secure area, and have fun while Mom and Dad got to sit back and relax. Parents were having just as much fun as the kids! You can bring your own sand/water toys or buy some at the shop attached to the entrance. But either way, it is GREAT fun! There are a lot of places to eat and lots of different types of food to try in the surrounding Boardwalk area. Food is allowed to be brought in from the outisde, or you can also bring your own cooler. Ralph’s Italian Ice’s is immediately adjacent to the park so it makes for a nice, cheap treat for all while you enjoy your time. The new and improved boardwalk area offers some cool sites, and sounds. There is a playground right on the beach across from the Splash Park, so if you want the kids to dry off, it’s a good spot to hang out. I recommend checking out Hot Sand, where you can make your own glassworks project and pick up or ship home. Definitely a cool souvenir. Asbury Park is definitely a great place for family! Go, have fun! 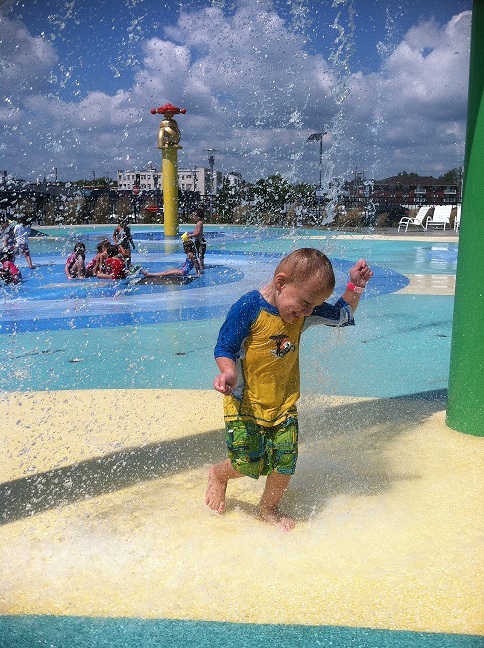 The following photos are courtesy of Asbury Splash Park. Thank you for sharing this! I only recently found out about the Splash Park! I can’t wait to bring my niece and nephews there this summer! Many thanks to NJ playgrounds for the free passes to the Asbury sprayground! My family and I went recently and had a great day. The sprayground is small, but perfect for little kids. We made a day of it and went to the beach as well. 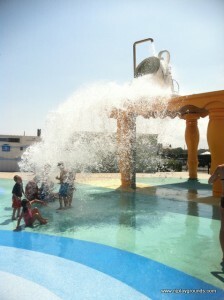 Then after a few hours at the beach, headed back to the spraygound. I would recommend getting there early, parking in the area fills up quickly. Keyport High School is having a gift auction on March 5th. Is your organization willing to donate something towards our event? I have a donation letter and a 501c letter.